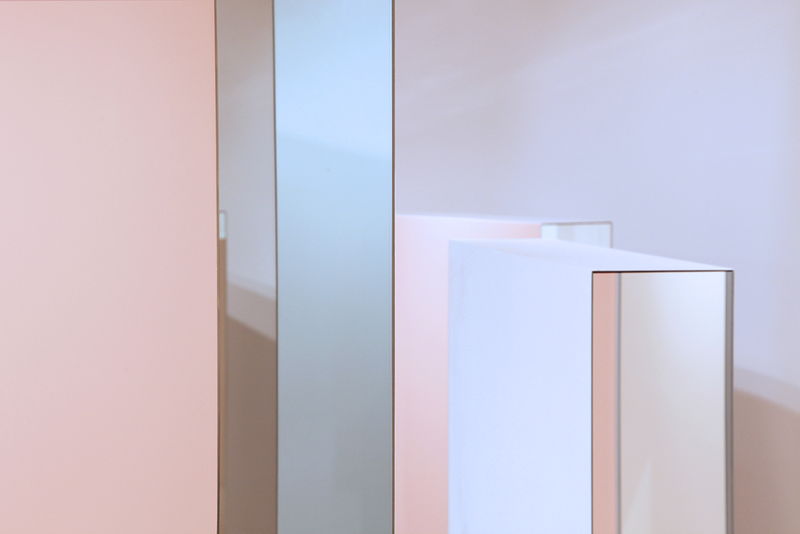 Drawn from a light ethereal palette of daybreak hues, HOW TO DISAPPEAR INTO A RAINBOW, is a commissioned solo installation for the Fondation D’enterprise Hermes, comprising of a labyrinth of pastel planes and mirrors. Inspired by Yves Klein, this site specific work within their Singapore flagship gallery, expands on the theory that colours possess the ability to transport viewers from one realm or reality to the next, creating immaterial experiences. With each colour portal symbolising a moment and a journey in itself, viewers are guided by the alternating rhythms of horizons on an act of discovery that echoes a seamless perpetuity of losing and finding oneself over and over again.